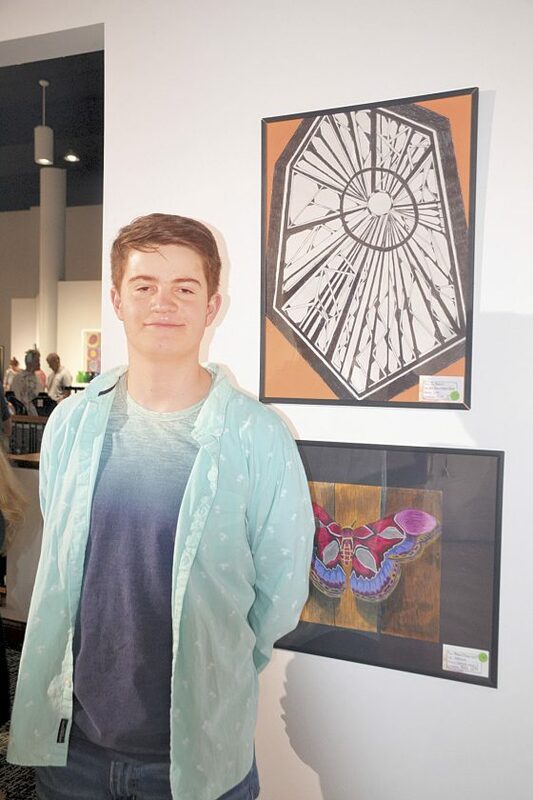 Photo by Brett Dunlap Ty Baker, a student at Parkersburg South High School, was the co-winner of the People’s Choice Award at the Expressions Art Show held at the Parkersburg Art Center. The show featured the artwork from students in kindergarten to 12th grade from Wood County. Photo by Brett Dunlap Chloe Vincent, a student at Parkersburg South High School, was the co-winner of the People’s Choice Award at the Expressions Art Show held at the Parkersburg Art Center. The show featured the artwork from 80 students from Wood County. 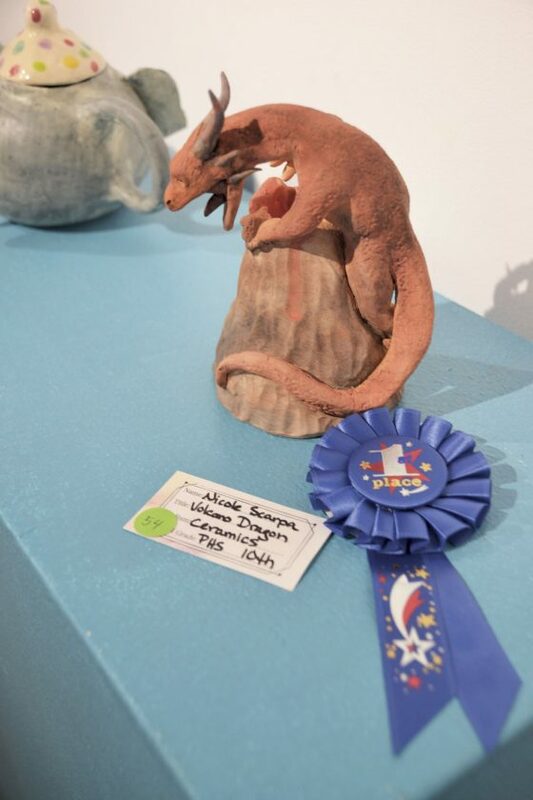 Photo by Brett Dunlap “Volcano Dragon” by Nicole Scarpa, a 10th grader at Parkersburg High School, won the Best of Show Award at the Expressions Art Show held at the Parkersburg Arts Center. Photo by Brett Dunlap Mikaele Freshour, a 7th grader at Jackson Middle School, had a piece in the Expressions Art Show highlighting his yarn weaving. Photo by Brett Dunlap Samantha Burns, a junior at Parkersburg South High School, drew a portrait of her animals to express how she feels about them. It was a piece that was personal to Burns, she drew it for herself and does not care what other people may think about it. PARKERSBURG — Student creativity was on display at the Parkersburg Art Center for the annual Expressions Art Show. 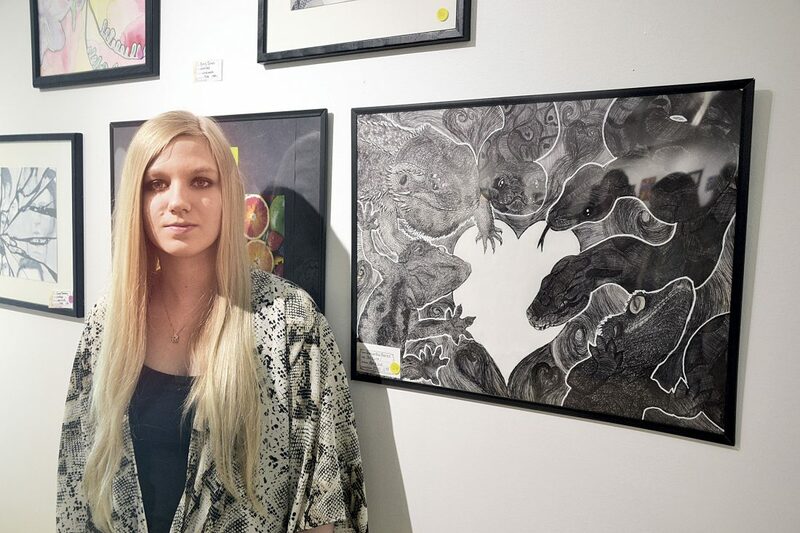 Wood County art teachers chose the best work from their students for the show at the Art Center where they were adjudicated by a panel of three independent judges. The work of around 80 students, from kindergarten to 12th Grade, was featured and included painting, sculpture, drawing, mixed media, woodburning, photography and graphic arts, among other disciplines, said Kay Mason, an art teacher at Jackson Middle School and the county coordinator for the Expressions Art Show. 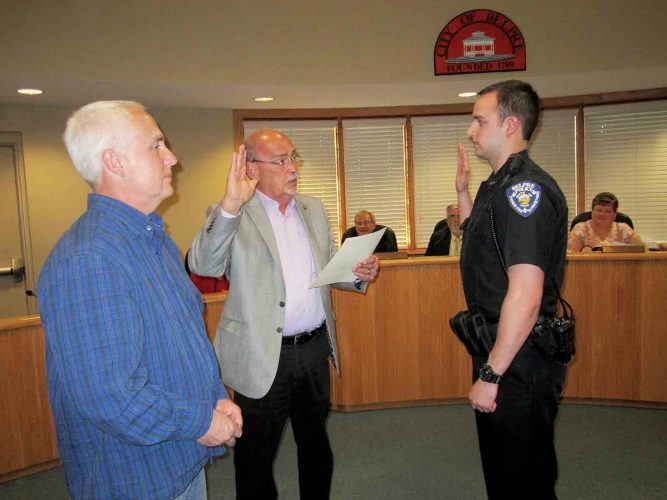 “Anything they want to do, they were pretty much able to do,” Mason said. The two-week exhibit was capped off Sunday with a reception and awards presentation for the students, their families, teachers and the community. Mason hoped the students came to realize what they were capable of doing and accomplishing. Many students are afraid they aren’t good enough, Mason said. “I tell them ‘you just don’t know how to be good yet. I will teach you how to have skills,”‘ Mason said. “They are so intimidated that they are bad and don’t want to take chances. Wood County Schools is supportive of the arts and students having those experiences, she said. Although not all of the schools in the district have full-time art teachers, students are still given many opportunities to have arts education, she added. Mason said many of the works reflected the “heart and soul” of the students who created it. Ty Baker, a senior at Parkersburg South High School, did a drawing and was inspired by Roman glass paintings and the paintings done on the walls of cathedrals. It meant a lot for him to have the piece on display at the Parkersburg Art Center. “I never thought something I made would be on display for everyone to see,” Baker said. 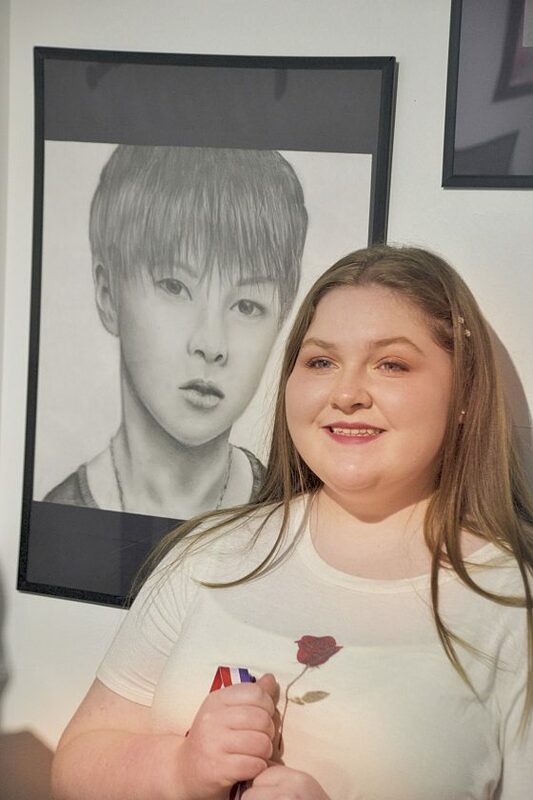 His piece was in a tie for the People’s Choice Award with Chloe Vincent, a sophomore at Parkersburg South who did a pencil drawing of Yang Jeongin of the musical group Stray Kids. She feels pencil drawing is among her strong suits and wanted to enter that work in the show. 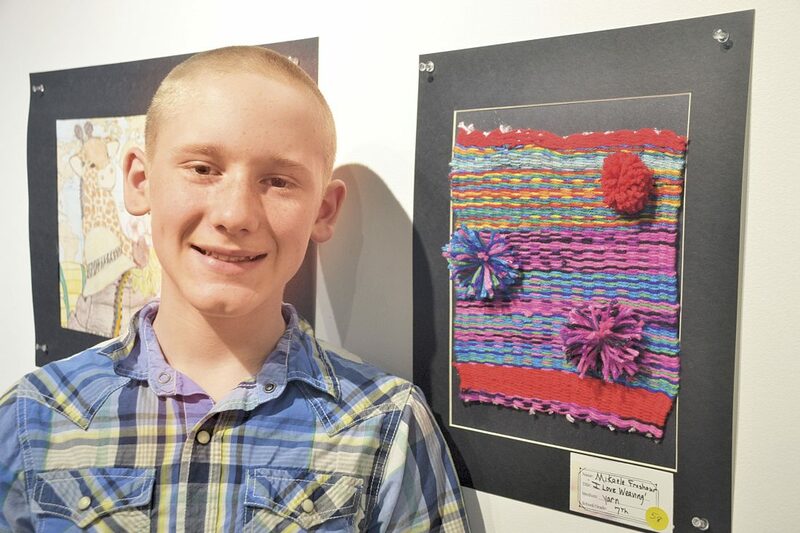 Mikaele Freshour, a 7th grader at Jackson Middle High, entered a piece highlighting yarn weaving. Freshour wanted to do something that was multi-colored, but ended up highlighting reds, purples and blues. He was happy to have a piece in the show. “I like people being able to see it,” he said. Parkersburg South art teacher Abbie Burge is glad the Parkersburg Art Center takes the time to display student art. “This is a very big deal,” she said. “This is a county show and it is very selective. 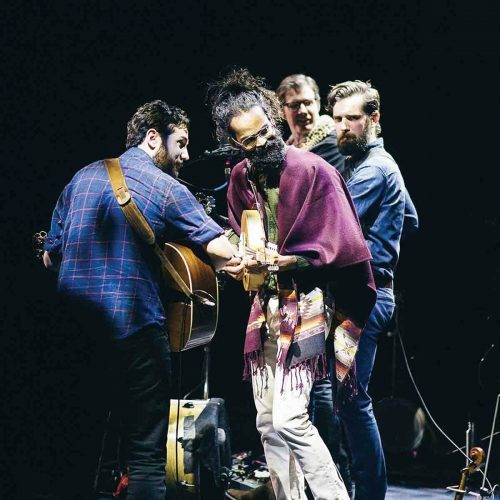 “I think it is great the kids get that sense of professionalism that comes with being a working artist,” Burge said.